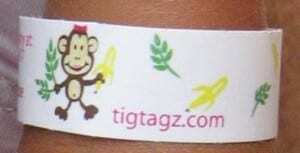 Click here to visit the TigTagz facebook and like them. Then on the “Sign Up” tab you’ll be able to enter your shipping info to request your bracelets. Plus, you’ll automatically be entered for a chance to win your own personalized set of bracelets. i wish we would of got in on this! My 2 daughters love these!